Yesterday I had an amazing time with my mom and sister at the fair. At the last minute I switched up my Tote for my Saddle Up. If I am going to have to carry my bag all day there is no way I am taking a shoulder bag. I don’t know why I even tried the Tote. I have never bought a Hipster, but now that they are retiring I might get one in Loves Me. My sister had a Vera Sighting of her own and snapped this picture of me and my mom when we weren’t paying attention. 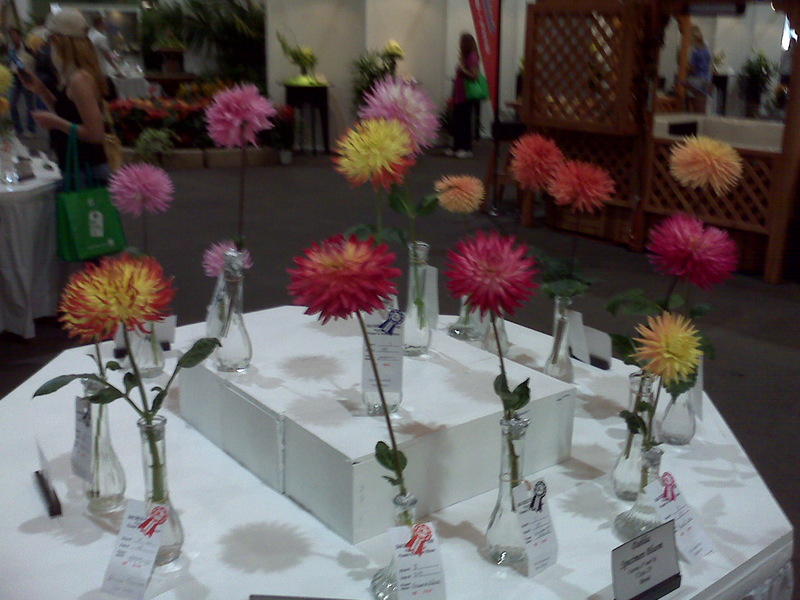 We walked through one of the exhibit halls that had just plants and flowers and I saw this table of Dahlias. I had to take a picture since one of the new Fall prints is Hello Dahlia. Who is excited for July 8?! I am! I also want to say thanks to everyone who checked out my blog after it was posted on the Vera Bradley facebook page! That was really exciting for me and I am happy to have new readers!